Long Weekend! I remember this time of the year when me and my best friend would usually go to Bantayan Island to refresh and relax when we where still living in Cebu, Philippines. My grandma hails from Bantayan Island so accommodation is never an issue. 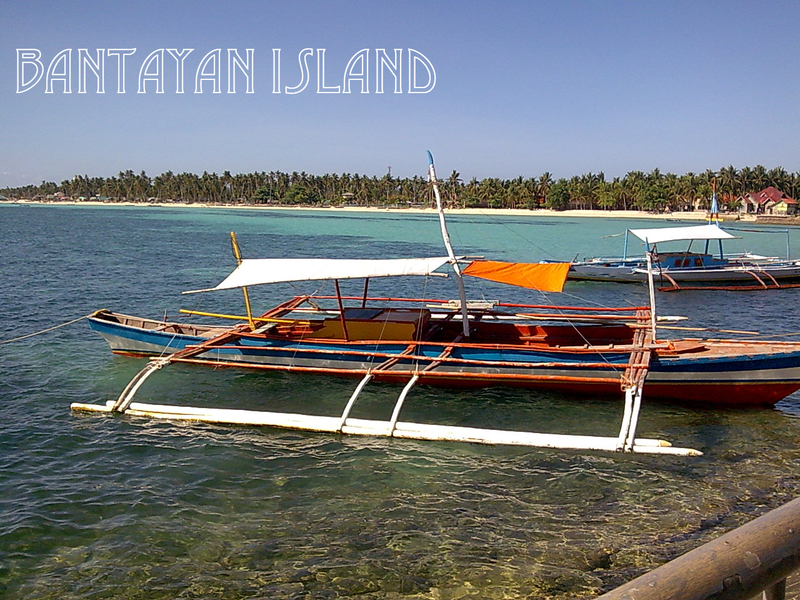 Bantayan Island is a 4 hour bus ride from the city of Cebu depending on traffic conditions. Take a bus from Cebu South Bus Terminal to get there. 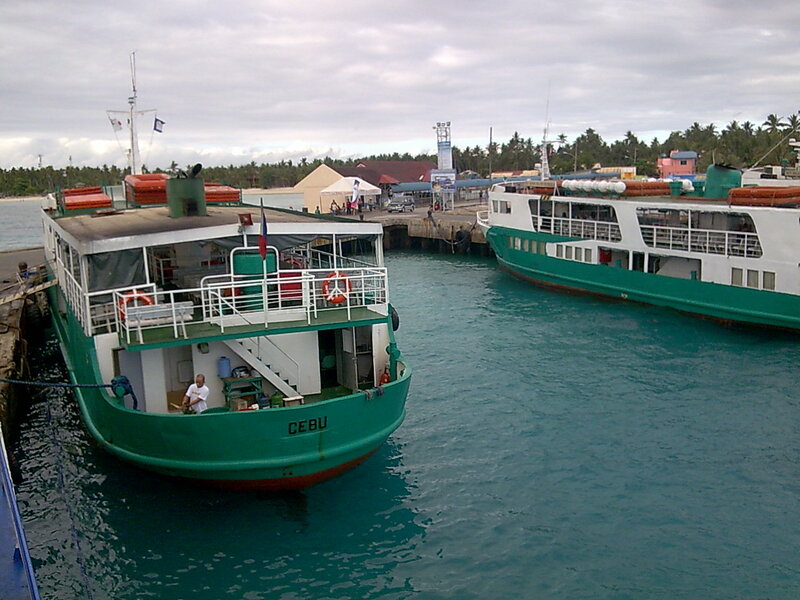 During Holy Week many locals would flock to the island to unwind and spend their long weekend so taking a bus ride is really a tough competition especially when all the buses from Cebu arrives to the port of Hagnaya because from there you still need to take a 1 hour ferry ride to the island. So during this peak season it would usually take you longer to get to the island. This is what awaits you when you arrive at the port of Sta. Fe. 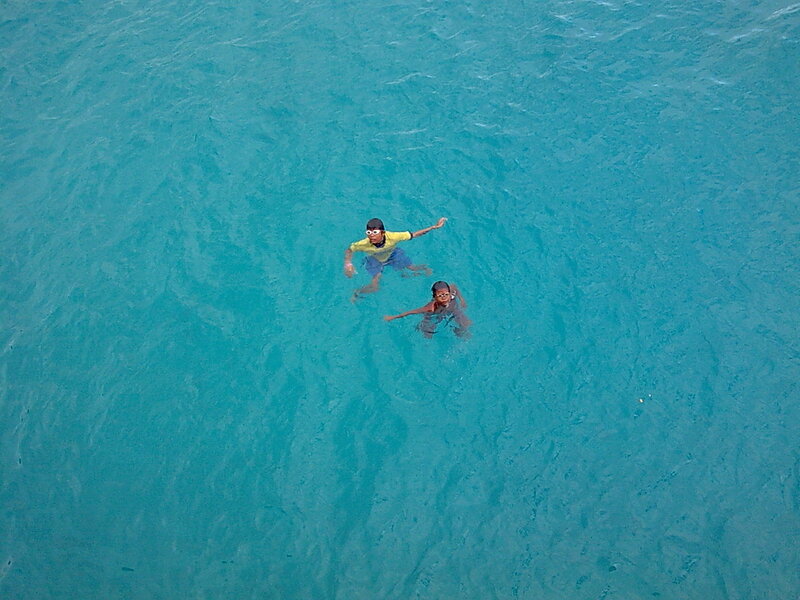 And oh, there are coin divers (apparently children) greeting you from the waters below when you arrive at the port of Sta. Fe Bantayan Island expecting you to give them some coins as welcoming gifts. During normal days these children are not there but since it's the summer holidays and it's the peak season they would be around the port. Nope, these children are not swimming in a swimming pool. The waters from Sta. Fe port are very clear you can actually see the fishes swimming in the water. 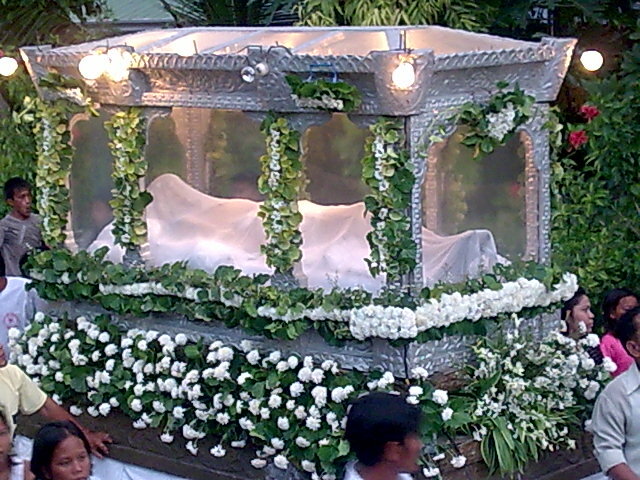 From the port of Sta. 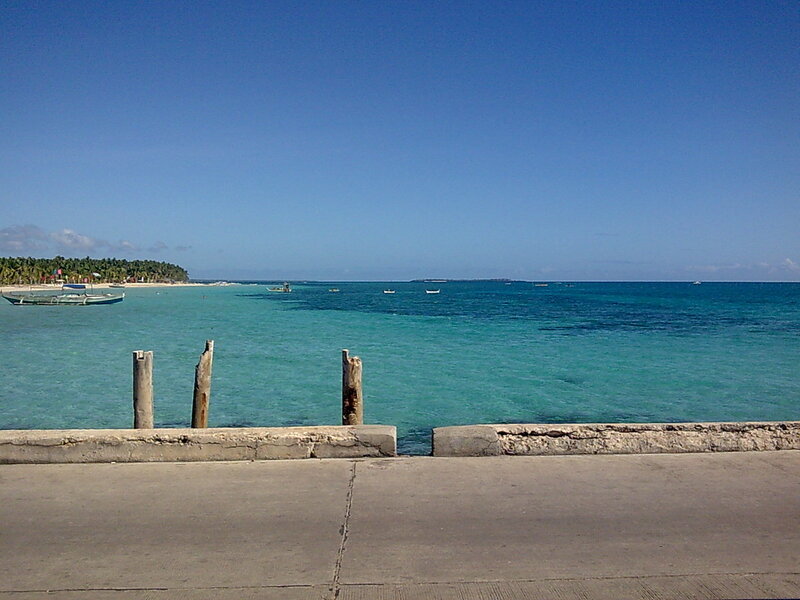 Fe Bantayan Island, Cebu you will be greeted with this beautiful scenery. It's pretty much tempting to go and dive in the water immediately. There are a lot of cheap resorts in the island but during the peak season be sure to book it in advance. But since most of these resorts have been fully booked, you can actually bring your own tent and pitch it at the beachfronts of these resorts since a lot of them offers these kind of arrangement. But hey, there are also a lot of public beaches in the area. This is what makes me fall in love with the island as it is not commercialized and I hope it won't be as I love the laid back atmosphere. As I've mentioned above my grandma hails from Sta. Fe Bantayan Island so accommodation is never an issue. We stayed at her ancestral home and went to a private resort owned by her brother, my grandfather. The resort is called Kandugyap : House by the Sea. Yes, the resort can be rented if you wanted to have a more quite and peaceful environment away from the crowd. Yeah, coconut debris are found all around the time we went. While most city dwellers flock to this tiny island for the holidays, the locals spend their Holy Week in solemn processions. Oh, how I missed this time of the year. How about you? How do you spend your long weekends? Let me know in the comment section below. I'd love to read them all. Wow looks beautiful. The water looks so nice. Wow! Amazing place! I really wont to be there!